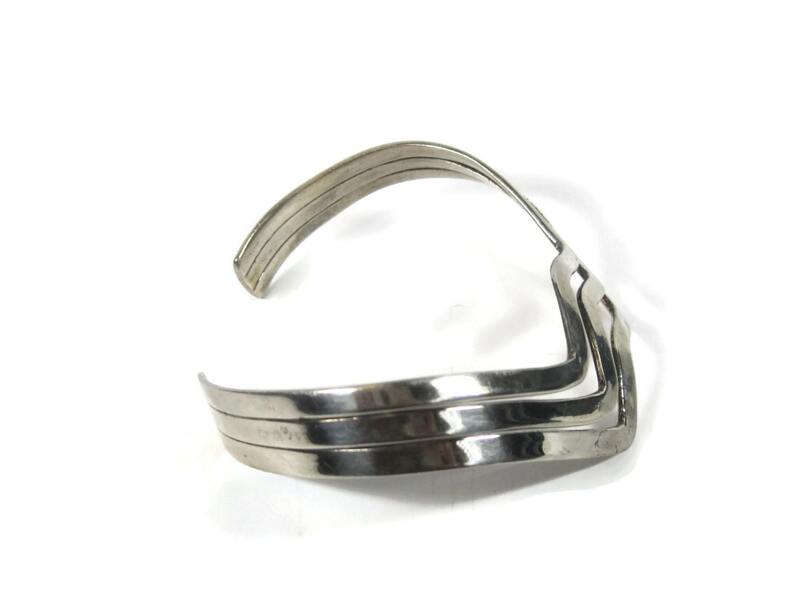 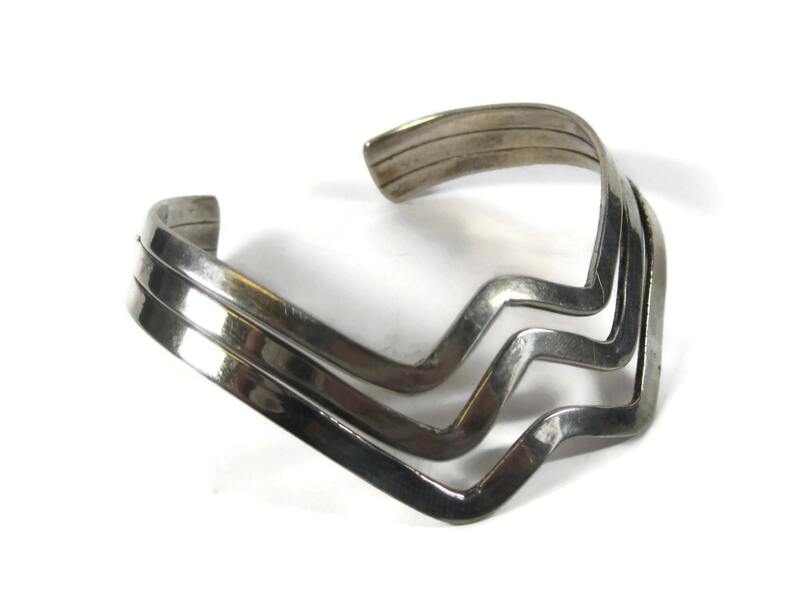 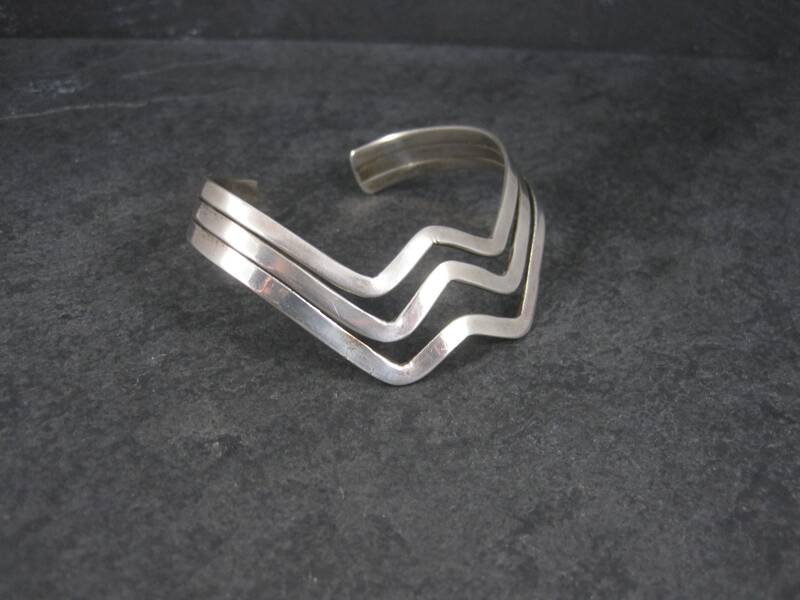 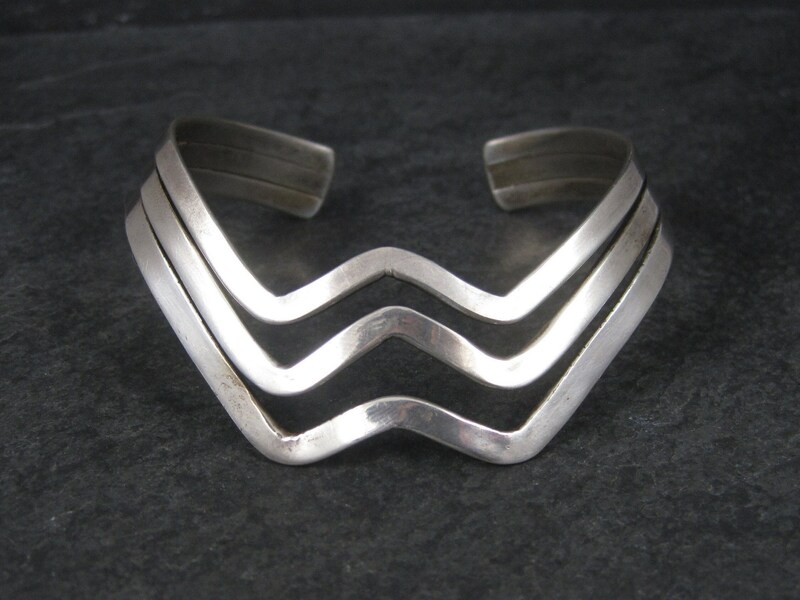 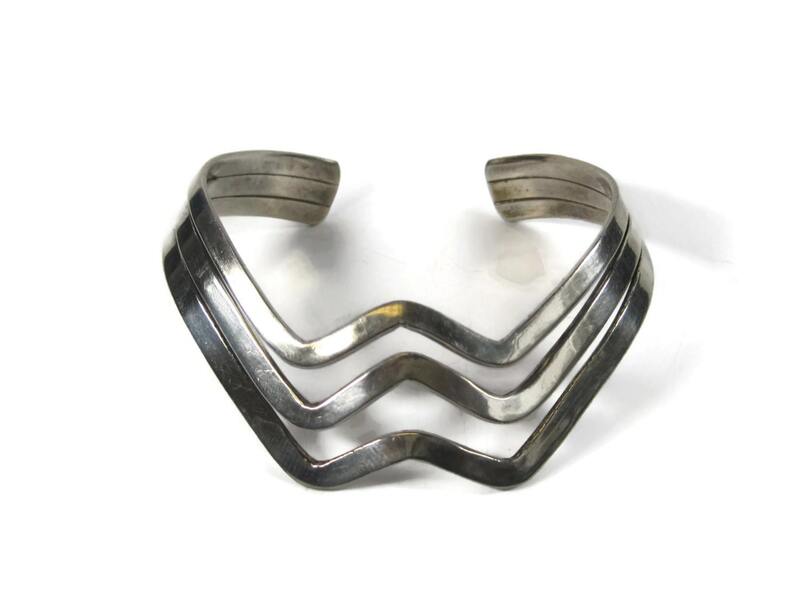 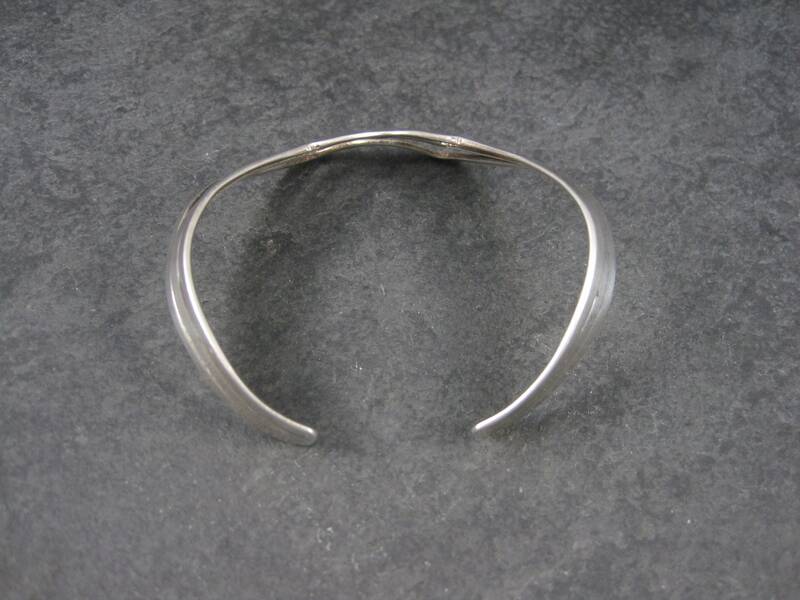 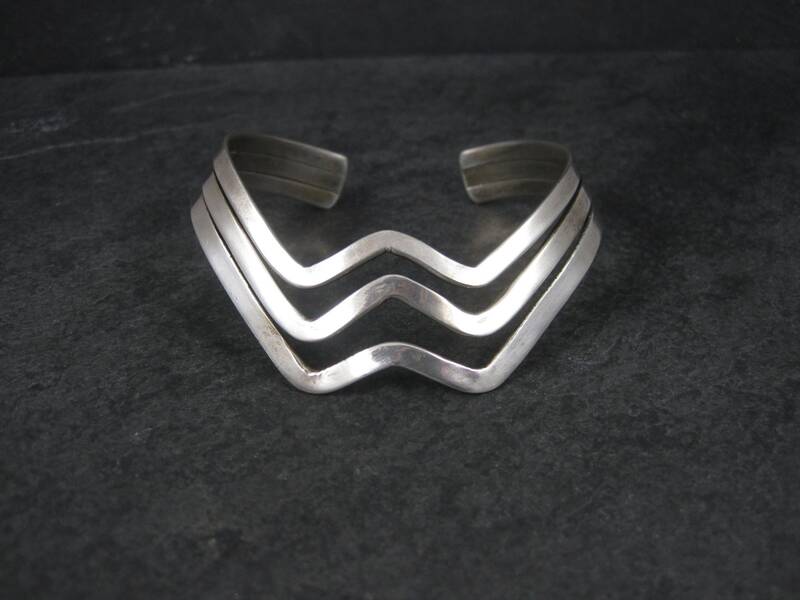 This gorgeous 80s cuff bracelet is solid sterling silver. 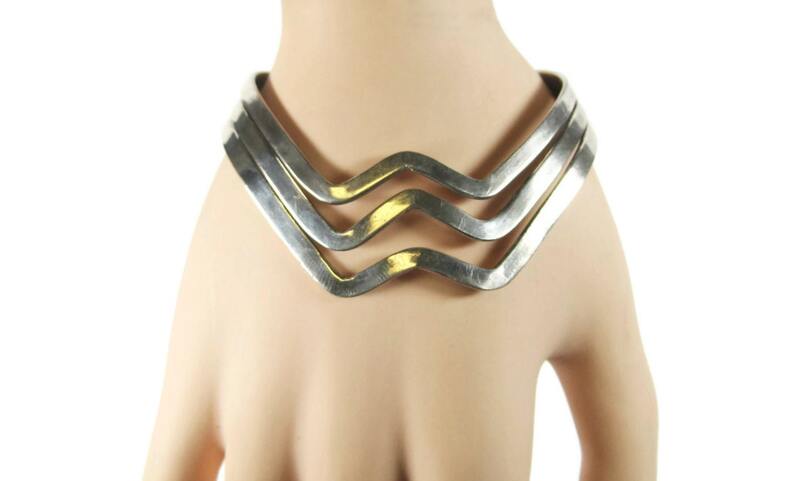 It is designed in such a way that it sits more on top of the hand as shown in the last photo. 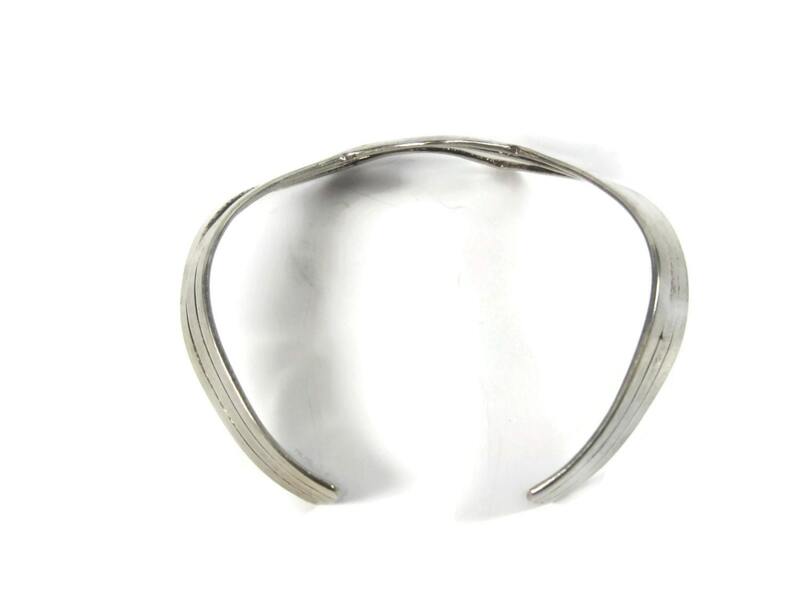 It measures 3/4 of an inch at its widest and tapers to 7/16th of an inch.